Description: I'm including Calendly because everytime I ask someone to meet with me, or everytime someone requests my time, and they send me a link to Calendly to schedule a meeting time, I'm just impressed by the ease and the clear UI of Calendly. It's got everything you could need in a schedular, and the free version has nearly everything you could ever need. 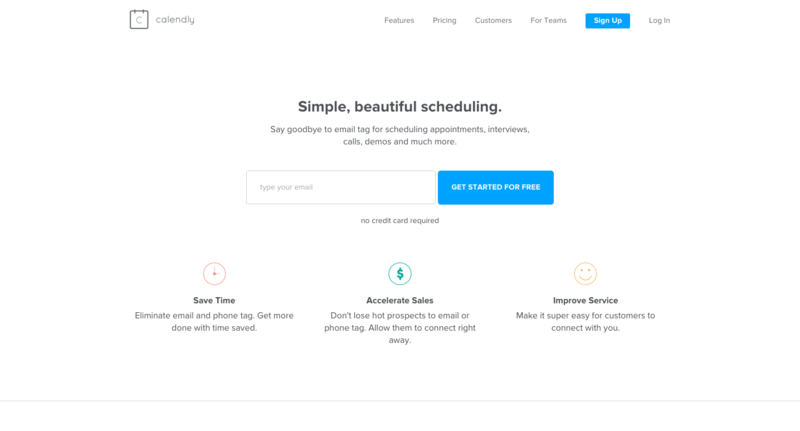 Description: ScheduleOnce is a nice scheduling solution if you want people to be able to book demos, meetings, or interviews with you. It has API integration, which allows you to send a new booking not only to your calendar, but also to Zapier so that it can go to a million other systems, to your CRM, to Trello, to a retargeting advertising campaign, whatever you need. 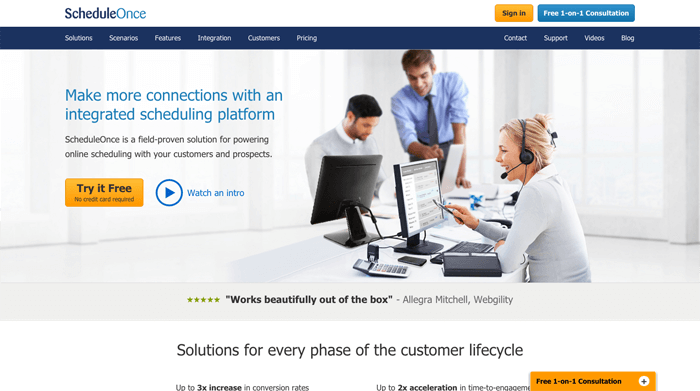 Description: X.ai is a game changer in the scheduling world. 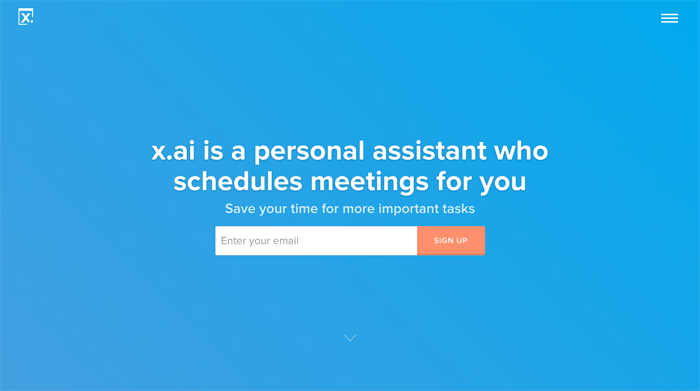 It's an artificially intelligent personal assistant, going by the name Amy, and if you need to schedule a meeting time with someone, you just CC her on the email, and she will take over coordinating a time that works for all parties involved by looking at your calendar. Less annoying back and forth. The future is sort of here, as far as scheduling meetings over emails goes. 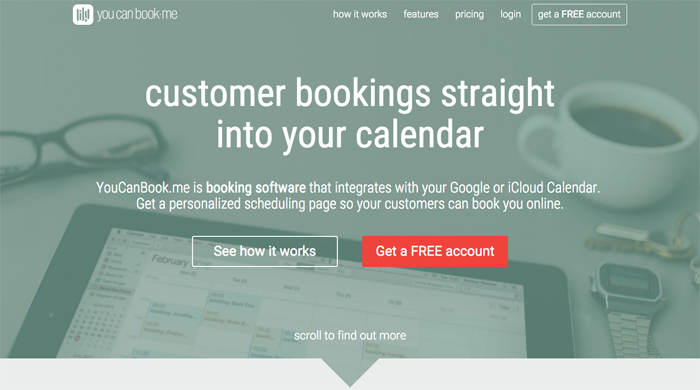 Description: YouCanBook.me integrates with your calendar so that people can know when you're available and book a call or a meeting. No more back and forth saying "when are you available?" With a smooth interface and nice reminder emails, YouCanBook.me is a great system for people to book your time.